Having a liposuction is a very personal decision. 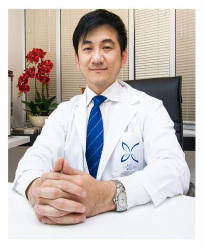 First, you must take consideration in having in-depth consultation with a doctor who specialized in liposuction. The doctor that you choose will analyze your anatomy, discuss different liposuction techniques available for the desired results, and will check your medical records. Your plastic surgeon will make sure that you are a perfect candidate for liposuction. They will also discuss the risks and side effects of liposuction in your body. At this time, your doctors will advise you to stop taking medications that could interfere with the surgery. Those include blood thinning medicines and other forms of aspirins. Smokers need to stop or refrain from cigarettes in the weeks leading to liposuction surgery. Your very own plastic surgeon will give you detailed list of instructions for you on the day of your surgery and this includes certain dietary restrictions. As part of the preparation process, planning for liposuction recovery is also included. You need to buy any postoperative medications as prescribed by your doctor. You also need to arrange someone to do the transport from clinic or hospital on the day of surgery. Find your perfect plastic surgeon that offers liposuction surgery and learn more about how to prepare for your procedure.